My women friends who have partners have amazing partners. When I think of great couples it’s Dest & Gracee. During “Sea Cruise 2012” (that title is way too big for such a poorly planned event, btw), some of us girls went house hopping on a couple nights. And on one of those hops we landed at Gracee & Dest’s home. And where do we begin a visit to a friends home? 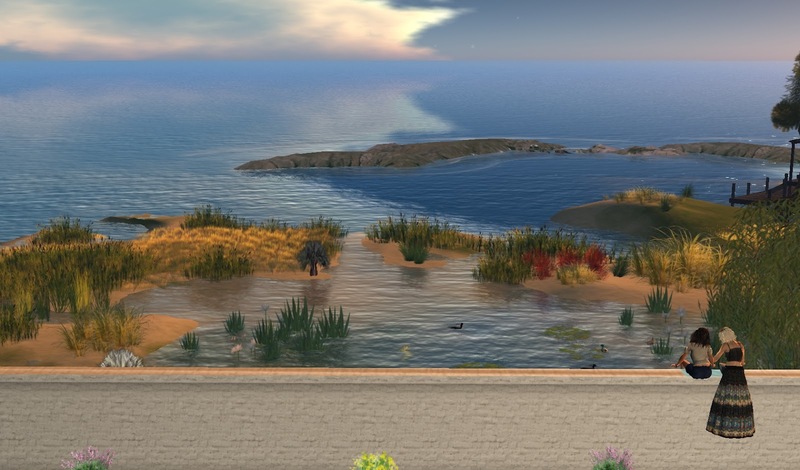 Well, we begin at the home and their home is a beautiful traditional two-story home on an island. that are tucked away in the corners of the island. The back of the home is also as traditional as apple pie. who know where the fun. at the amazing swampland behind the home. Hey, this is Gulf Coast fantasy!! you begin to see a bluesy folk playground like no other. Check that little getaway cottage! but there’s even a moonshine still hidden in there. the little cove where there were several guest houses. we found another little cove on a sandy beach. I’m coming back someday when the Sun is high in the sky!! 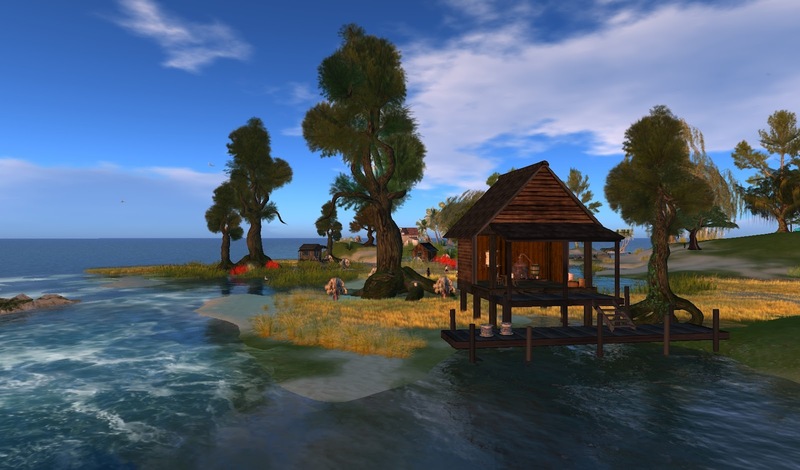 I love people with imagination who create their fantasies here in Second Life. Gracee & Dest have a great sense of what is fun and beautiful. And this Home & Garden feature is fast becoming one of the fav features I’ve run in this blog. Thank you for letting me feature your home, Dest & Gracee!! I’m fitting these home and garden posts in between my reporting from SL9B. It’s nice taking the break and it’s great to get published because I have a stack of photo studies I want to share here. 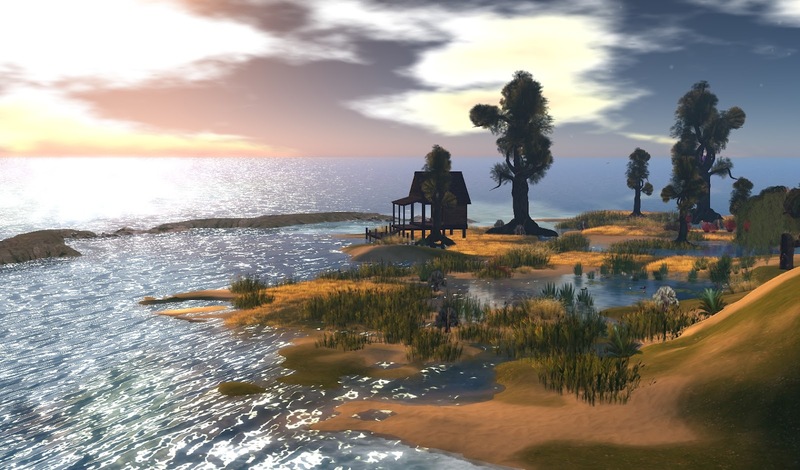 This entry was posted in Features and tagged Friendships, Homes & Gardens, Photography, Second Life. Bookmark the permalink. great house – thanks for sharing Yordie and Dest & Grace.